Alex Kopacz was born and raised in London, Ont. As a young athlete, Alex was an avid swimmer and football player but was only first introduced to the sport of bobsleigh, as a Varsity shot putter completing his Engineering degree from Western University, via the encouragement of his Athletics coaching staff. Alex attended his first ID camp in April 2013. He performed very well and was invited to train with the team and participate in the BCS National Team testing camp to be held in August of that year. Alex was instantly drawn to the extreme power and speed required to succeed. This, coupled with the competitive nature of the sport lead him to begin his passionate pursuit of a career as a Team Canada Brakeman. Alex has been a key member of multiple teams since he began. 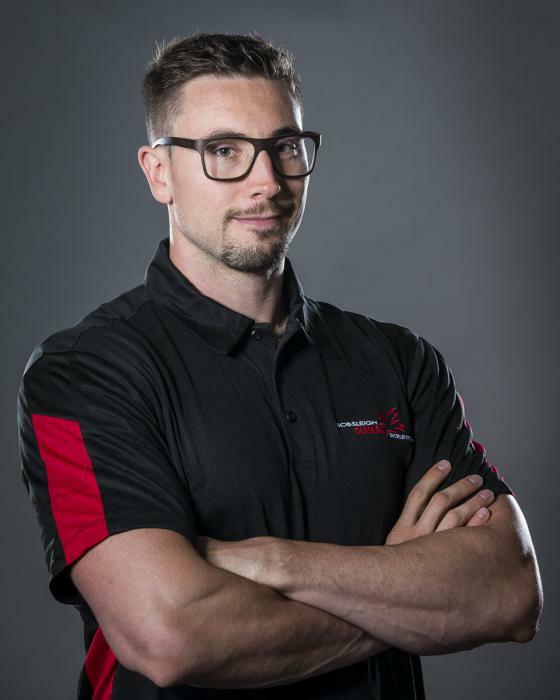 As a development brakeman, he was paired with pilot, Nick Poloniato and took on the high level of competition of the North Americas Cup mingled with some Olympic teams during the 2014 Olympic year. His size and speed would continue to prove effective as he earned a spot on the World Cup Team full-time during the 2014-15 season; pushing in many two and four-man events for pilots Chris Spring, and Justin Kripps. In 2015-16, Alex, as a member of Team Kripps, celebrated his first podium appearance after claiming the bronze medal in the four-man World Cup event at Lake Placid, NY. Alex is a relentless competitor and dedicated teammate. He will continue to push his physical boundaries both on and off the ice to ensure that, as a member of Team Canada, they get world-class starts each and every race.